Did you know almost 250 people move to DFW a day?! That means 7,000 people a month need to find a new home! As transplants ourselves, we know what it’s like to move to a completely new city. So we are here to help you find your sense of place in Dallas, including your living space. So we are excited to present the 5 reasons to check out the 27Twenty Seven Apartments to you! 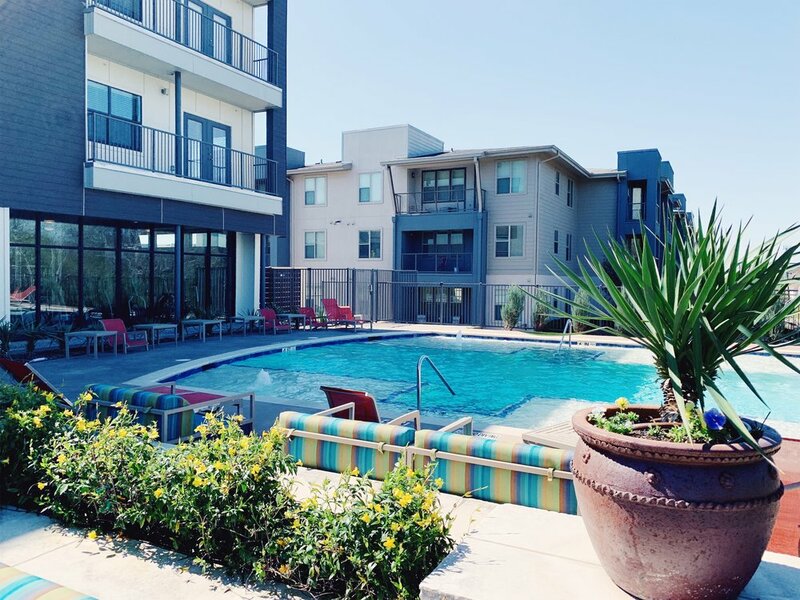 Residents have the opportunity to unwind at the swimming pool located in between the apartment and Turtle Creek! Yes, you heard that right. We actually didn’t know Turtle Creek made its way to the Medical District but it was so tranquil and cool having it right in your backyard. It makes you feel like you’re in an entirely different city, and on the opposite side of the pool, you can catch the skyline! Unique, stylized community spaces and homes are what sets 27TwentySeven apart from the rest. 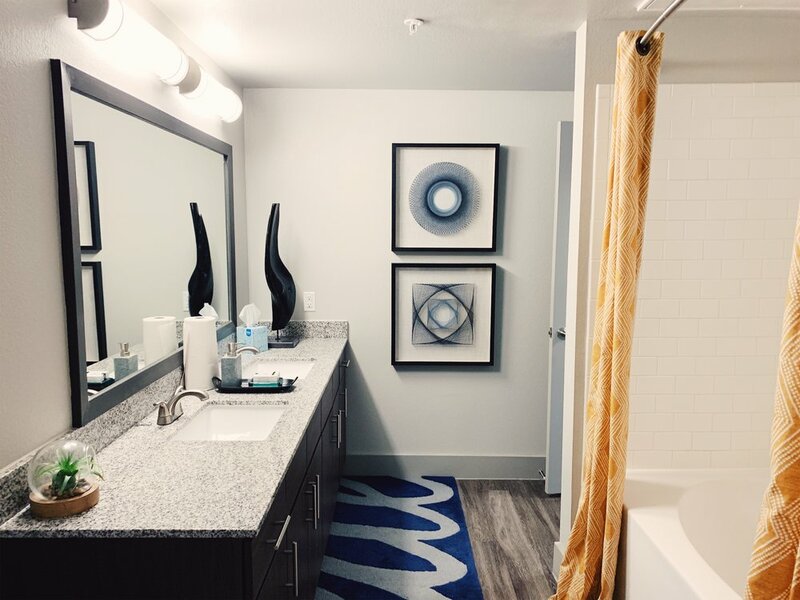 Their spacious studios, one- and two-bedroom apartment homes offer custom finishes including hardwood-style flooring, EnergyStar appliances, and granite countertops with undermount sinks. They also believe that a home is where your furry friend resides and offer no breed restrictions. Because 27TwentySeven is located in the Medical District, plenty of residents are in the medical field, so if that is you, you’ll find a great community. Alternatively, if you’re not in the medical field, it’s always nice having neighbors who are! If you work in Uptown, it’s just a short 5 minute drive, no highways or tollways involved! Some of the best spots in the area are right around the corner. Try Maple and Motor- known for their amazing burgers and onion rings, Oishii – known for their sushi and Chinese/Vietnamese eats, and Ojeda’s – a colorful, family-owned eatery dishing up Tex-Mex standards, margaritas & signature puffed tacos. All three spots are within a few minutes’ drive. 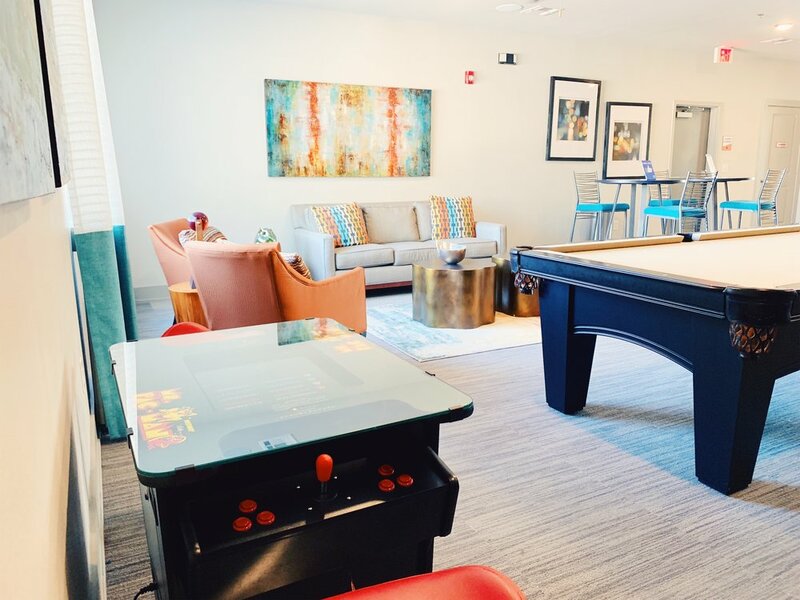 This is the first time we’ve ever seen an apartment with video game offerings. We were so ready to post up and play Ms. Pac Man and the other games offered on the retro table console for hours! Ready to see it for yourself?!! If so, the community is currently offering reduced rent and up to 4 weeks off upfront. They offer studio homes ranging from $1049 - $1385, one bedrooms ranging from $1515 - $1565, and two bedrooms starting at $1759. Stop by in person, head to their website here or call (214) 559-4000! This article was sponsored by 27Twenty Seven Apartments.